Just Call Me a Globe Trotter. Wearing: a comfy sweater & slippers. My widely-known uniform of the house. Eating: leftover take-out Chinese. AKA the good stuff. An intercultural brunch? 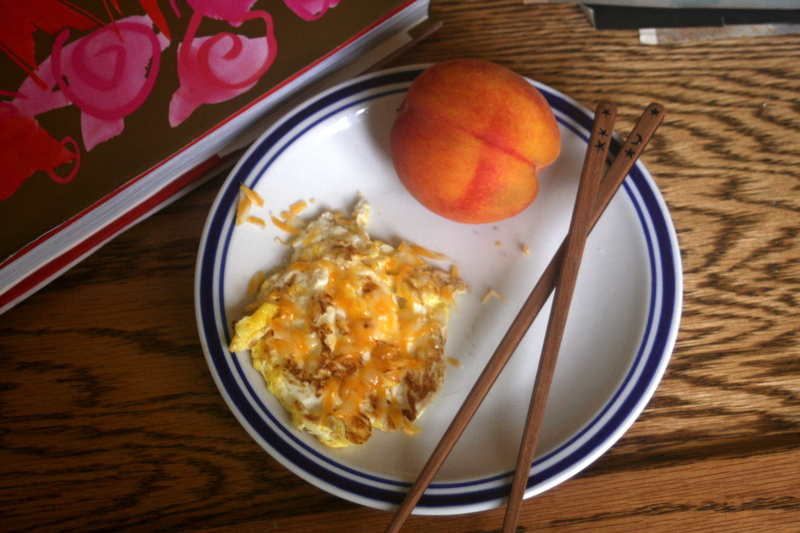 The first morning in, I was forced to eat my eggs with chopsticks when I found that all the provided utensils were greatly in need of a washing. Sometimes you don’t have to travel far at all before finding yourself exposed to or influenced by the culture of another human being. Sometimes you do. Sometimes, (when technology lets you down,) it’s a mile & a half away with a heat index of 100 degrees, & you’re on foot (all because a certain search engine lied, telling me it was a distance of .3 miles. A red-faced & sweaty amount of time later, & I was double checking my facts. .3 miles mon derrière!). That’s right, cheri, I mistakenly walked to the library this weekend to check out a few foreign films – mostly French but one Norwegian, just because it looked pretty – in an attempt to supplement the reading & writing I’m teaching myself these summer months. Needless to say, after my radical protest of all things air-conditioned & wheeled, I was way beyond understanding anything above the intellectual level of a 13-year-old boy. So I watched American sitcoms all night instead. The following evening I was feeling more up to the challenge, but more so, I was feeling some take-out Chinese (second feeling pronounced “feelin'”). It was a craving not to be ignored. I got in my little blue car (this time I was thinking) & took off toward the nearest brothel of a buffet line to indulge in some cardboard flavored wontons & goo encrusted egg drop soup. It was everything I had hoped, & for $4.00 I ate past the point of being full two night running. The dollar menu ain’t got nothin’ on the Main Moon buffet to-go. 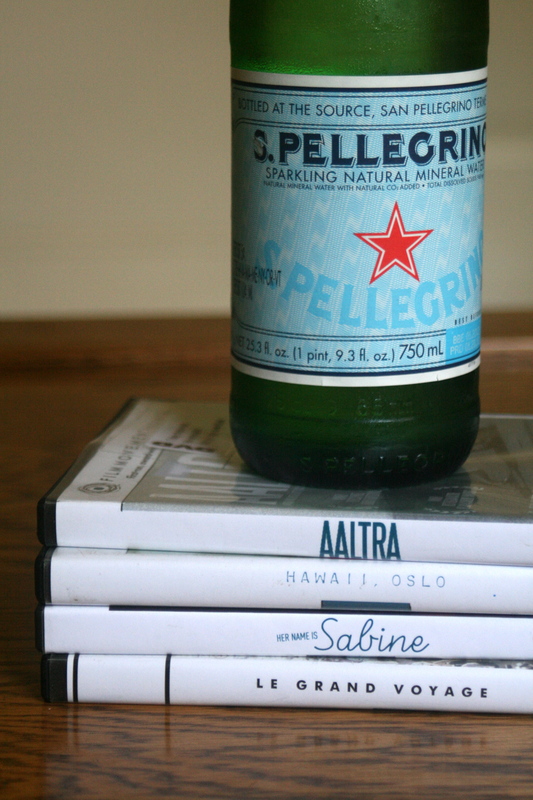 Fine dining in hand, I sat down to Aaltra, a comedie that tells the story of two rough-around-the-edges invalids. I liked it beaucoup! but fell asleep on the couch before it had finished. The first 3/4, though, are highly recommended (& I do plan on finishing it soon). And then there’s the kind of culture you can find only a 15-minute drive away in the midst of a many-acred pecan & peace filled commune. But more on that to come! The stack of foreign flicks I was able to procure, beneath a chilled bottle of water that was my saving grace after so much time spent in the South Georgia heat.